To get them to match perfectly…..I hand painted the roses…first in teal, then white accents, then Stickles, then glitter. 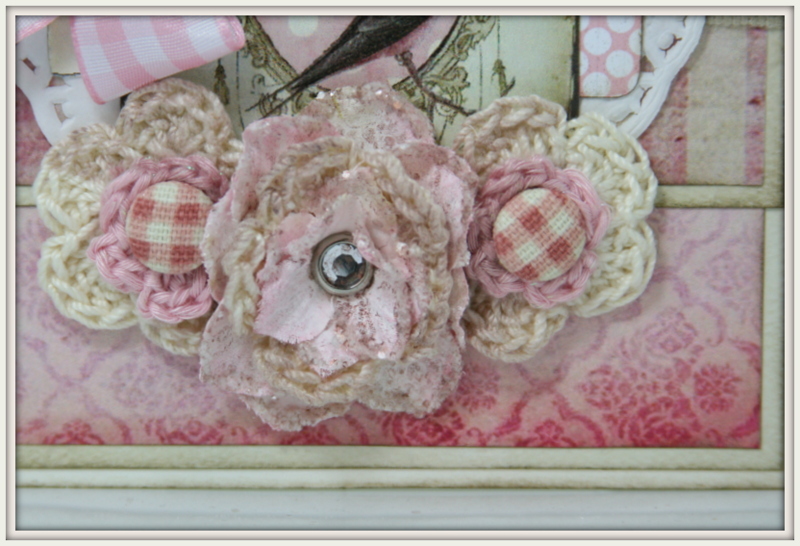 I relly love how they turned out : ) The inspiration pic had a pop of pink so I added the tiny pink flowers on stems. To anchor the smaller flowers I layered them on a huge flower that I painted and cut in half. This beautiful butterfly image is from Ephemera’s Vintage Garden. I found it the same morning I saw the inspiration pic…so I figured it was meant to be right???? Did you notice the amazing texture peeking out from behind the chipboard frame? That’s Faux burlap trim from Really Reasonable Ribbon. I did trim off the wired edge and pulled a few threads to give it a tattered look. More flowers for the top. You can see all the layers of paper here too. 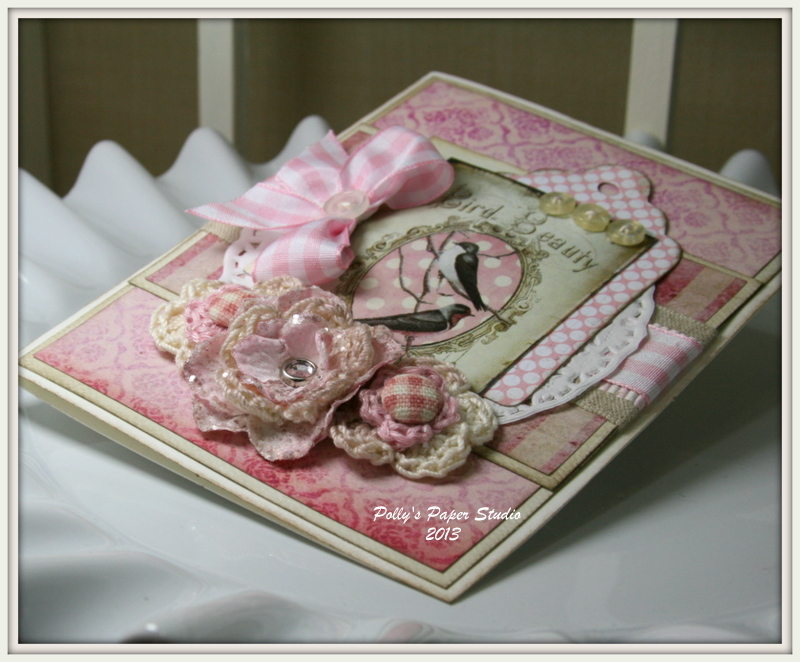 You should head over to Let’s get shabby to see the other projects from the Design Team they are so inspiring…I love them all : ) If you like to make shabby projects…you should enter the challenge and maybe win the beautiful prize. 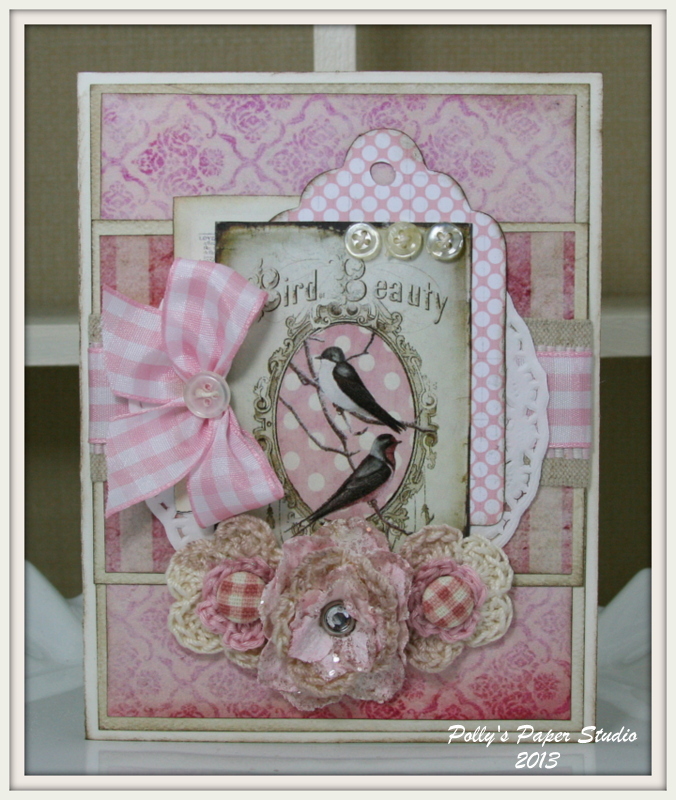 I created the base layers of this card with the Shabby Chic Pink Patchwork Background from Ephemera’s Vintage Garden. 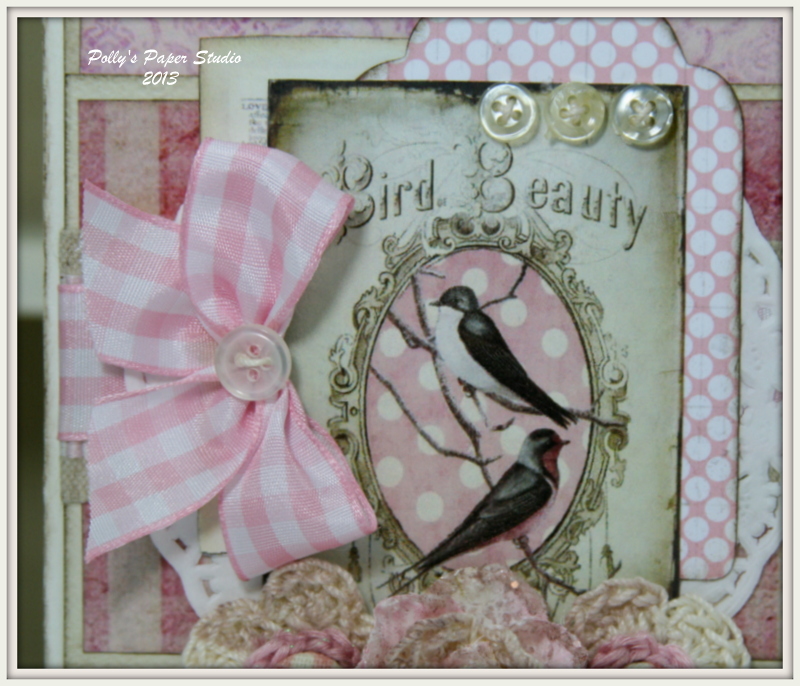 The Shabby Chic Swallows bird image can be found here. I think Jane’s right…..not too pink lol. More crocheted flowers here …this time I layered a large cream flower with a small pink one and topped it off with a super cute pink checkered brad. I created the flower in the center with lot’s of paint…ink….Stickles….cappuccino spray mist and glitter…then a super bedazzled center. Well I’ve shoveled my way to the garage so the grown ups can get to work…the lucky kiddos did get their much wished for snow day. 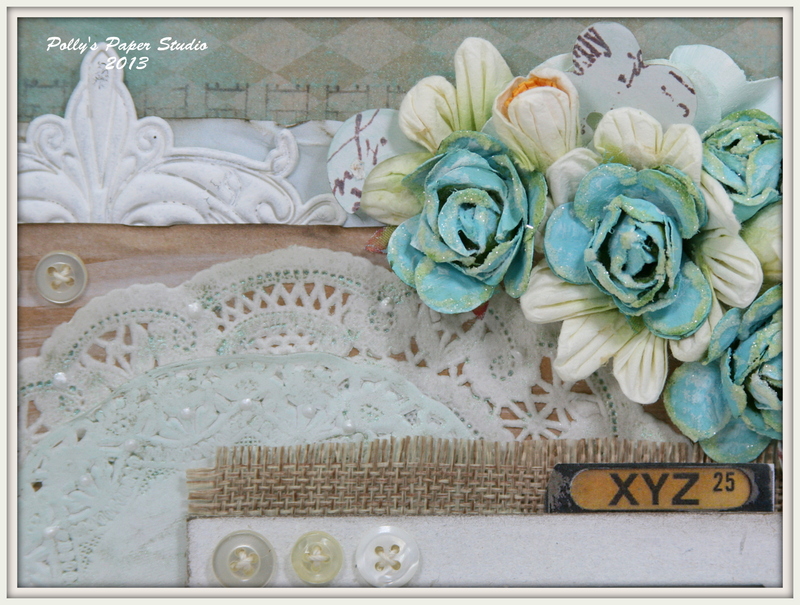 I very excited to share that I’m teaming up with Debbie from Ephemera Vintage Garden to share my projects created in my usual shabby chic style with lot’s of vintage goodies and trims and featuring her absolutely beautiful vintage printables. 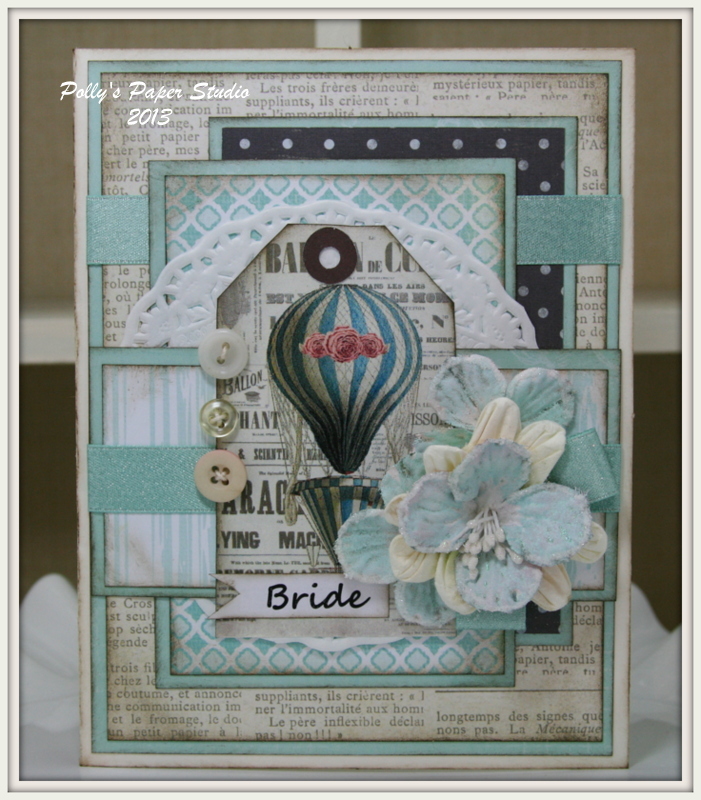 I created these cards for a bride and groom with these fabulous His and Her Hot Air Balloon images. 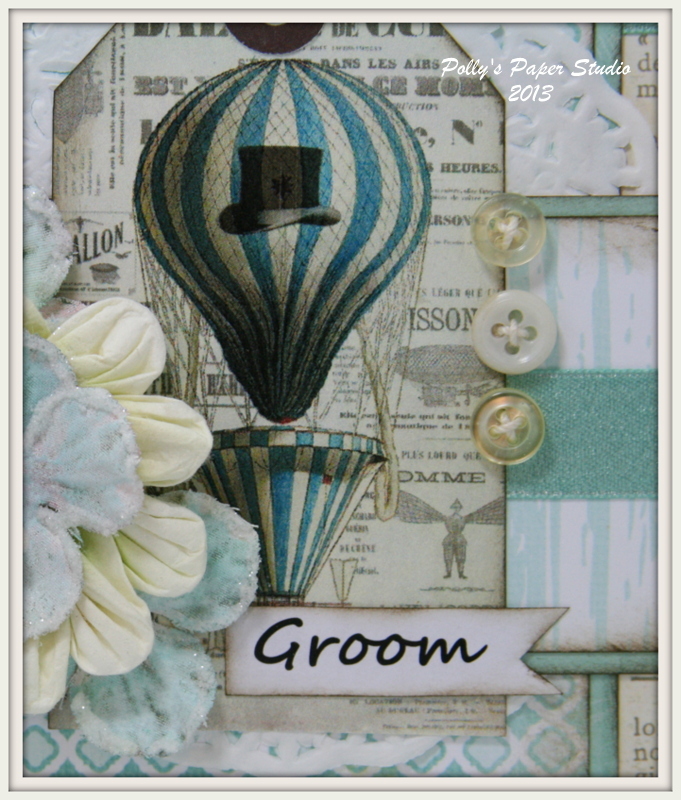 Click the link to hop over to the post to find this beautiful freebie vintage image set. I trimmed the image down a bit to create a tag shape…inked it and gave it a reinforcing dot in chocolate brown. The black in the little top hat inspired me to add that block of black with white dots in the background. 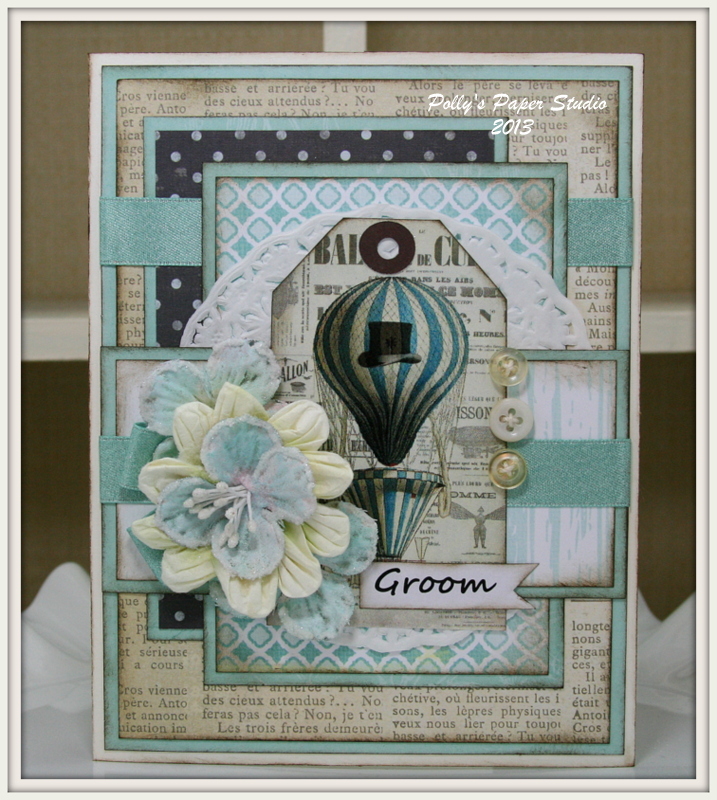 I also added generous strips of Shimmer Satin in Aqua from Really Reasonable Ribbon. Can’t go wrong with vintage buttons right???? 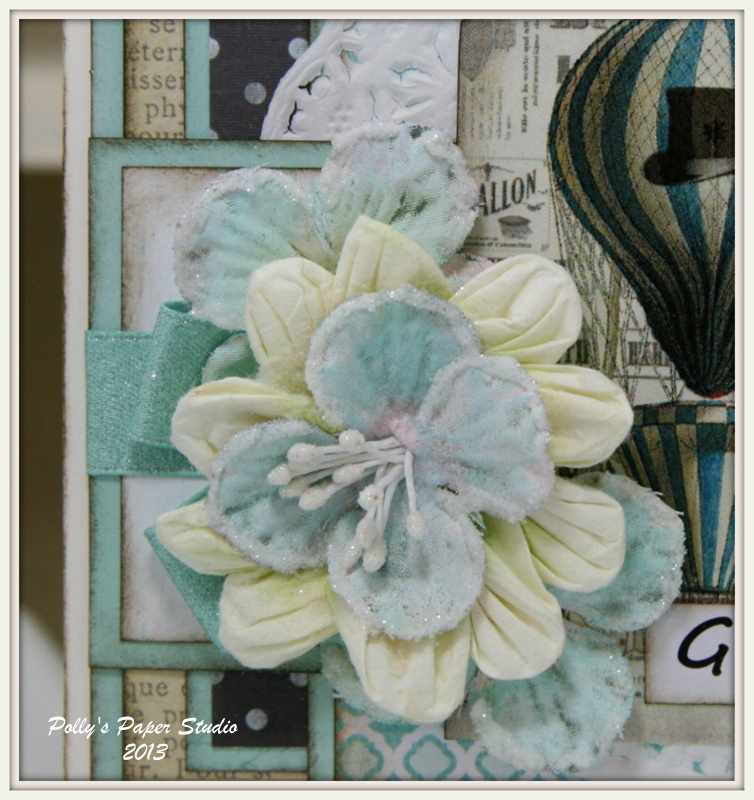 Well inked and layered flowers were Stickled and glittered….then finished of with bits of ribbon. 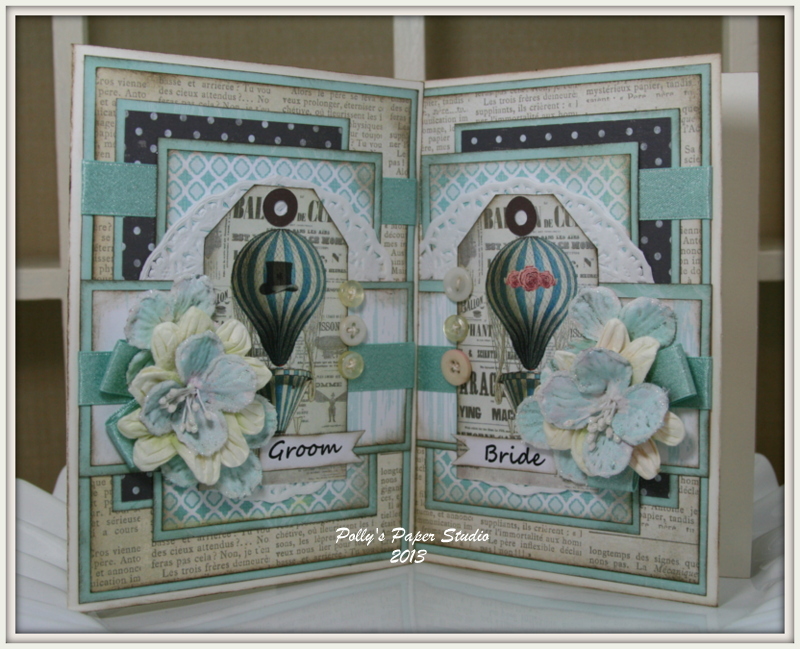 Here’s one for the bride. Okay…so that’s my first set of cards made with 2 of her weekly freebie images from Ephemera’s Vintage Garden…you can also check out her fabulous website here. I’ll be posting another card tomorrow. I’ll give ya a little hint…it’s pink lol. I’ve created another layout display for my shop. My niece Crystal was so kind to let me use this beautiful picture of her daughter Olivia. Is there anything cuter than a little girl eating an ice cream cone with sprinkles??? Nope! 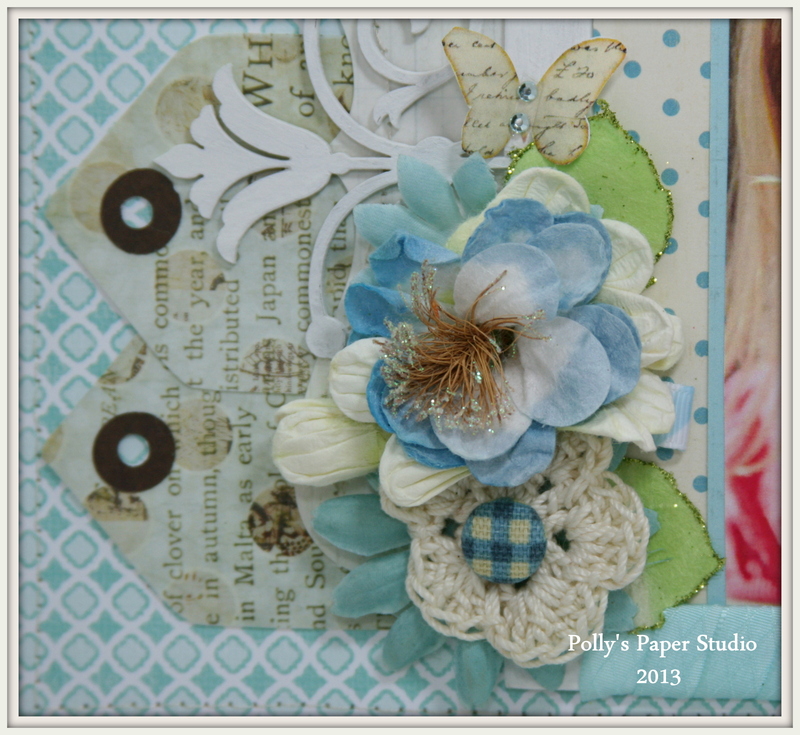 I choose to work with the sweet blue patterns from Lily Bee and pair them an awesome faux wood from My Mind’s Eye. The paper lace border was a kind donation from friend Bobbie. I stitched these layers down for detail…but it also keeps my layout super sturdy since it will be hanging in the shop. I choose to frame the picture in painted chipboard. To the top and bottom I added some beautiful Diamond Satin Blue Topaz trim. 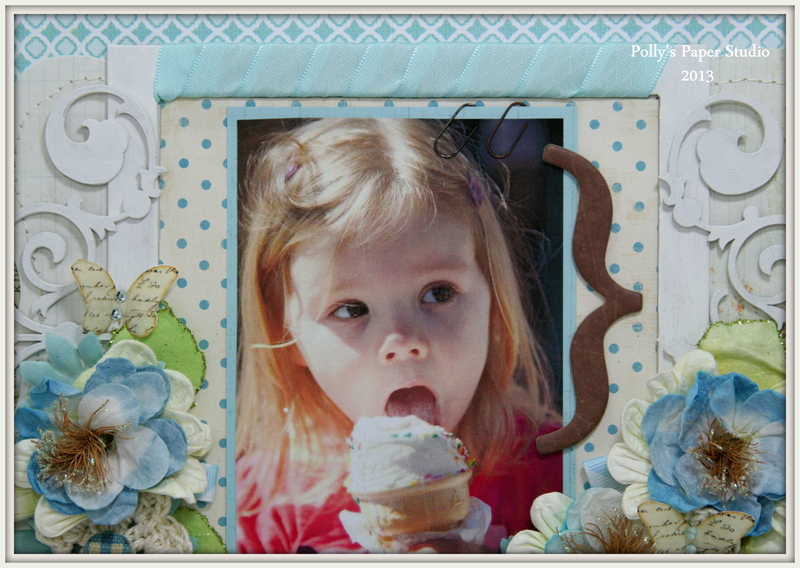 Not only does this help cover what would be too much white frame…but it adds a lovely texture too. I attached it with my favorite Scor-Tape from Really Reasonable Ribbon. 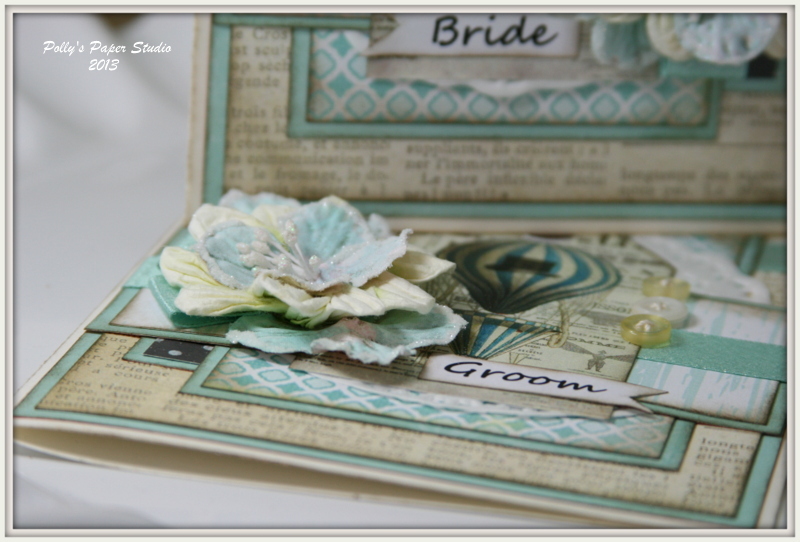 I used the Scor-Tape to attach the frame to the page and add the chipboard flourishes. There’s some hand crocheted flowers layered in with the franken-flowers here. what are franken-flowers you ask???? Well it’s various parts scavenged from lot’s of different flowers and reassembled to give them new life. Don’t you just love the blue checkered brad???? Me too!! Under this collection of franken-flowers I added a few tags. 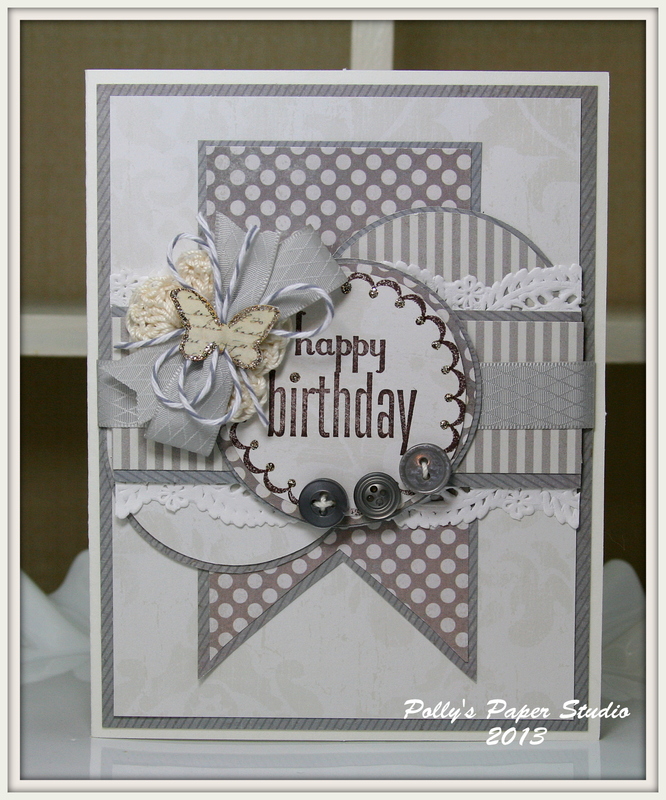 They’re a great way to fill space and stretch your embellishments. This layout will look fabulous hanging in the shop : ) Stop by and check em out if you’re in the area!!!! I’ve been working hard at improving my pictures of my projects so I can share all the fabulous little details and get the colors as close to real life as possible. Adding a light box was a great way to focus the light where I want…and get it evenly displayed around my projects…it’s simple really….just a painted shelf backdrop with large pieces of white poster board. I noticed an improvement right away. The light box has had an addition unintended use…..it’s the perfect gray cat attractor. Everytime I get it out and turn on the lights……Lily shows up : / and gets in the way of the camera lol. But she is too cute so here is her close up…. This happens every time I try to work at home lol. It’s amazing I get any good pics at all. Okay…that’s it for this layout. Make sure you check out the second post for the day for some exciting news! 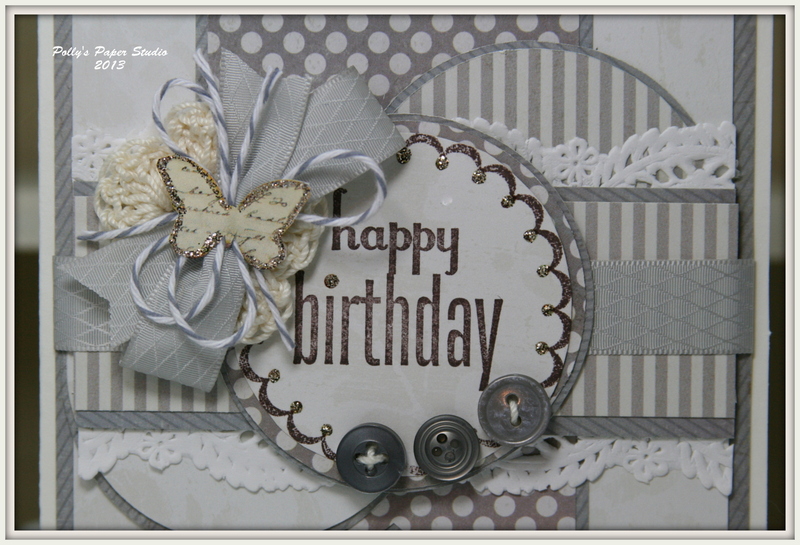 We are so happy that Mom’s Birthday is only a few days away : ) We have very very different styles….I am frou…she is not!!!! LOL So here is a simple card more to her liking. Yes…I did sneak in some lacy paper border lol…maybe she won’t notice. Yep…you guessed it…another crocheted flower. 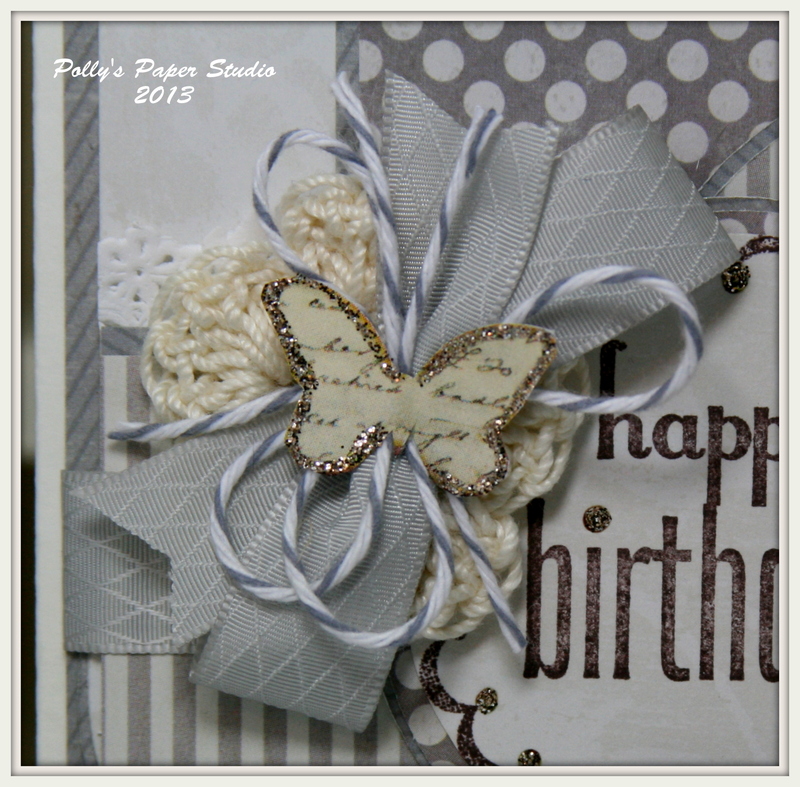 I added a pretty bow of Satin Shell Gray and Oyster Bakers Twine from Really Reasonable Ribbon. I worked off a sketch map this time and I love how it turned out. I created the large doily image by dry brushing white paint onto the page in a circular pattern then stamped around the edge with a pretty flourish. Last but not least I added some Liquid Pearls for a little dimension. There’s also some pretty text stamped in with chocolate brown ink…this helps to anchor the light colors. I used my new Peachy Keen stamp to add a little detail around the edges. 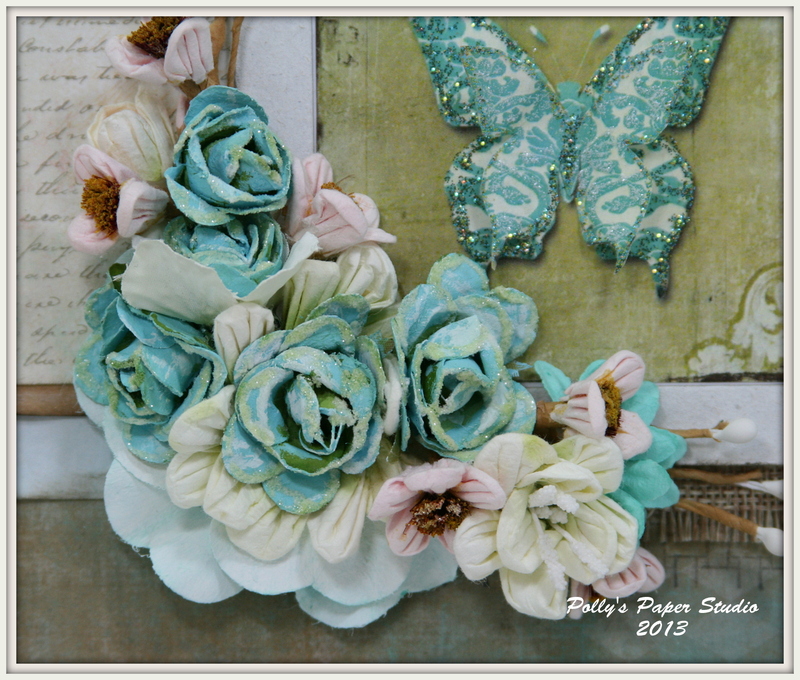 These flowers were all altered with paint, ink, and glitter…then layered and topped off with brads. I wound some eyelash trim around for extra detail. At the base I layered in Juliet Natural Crochet Lace from Really Reasonable Ribbon. 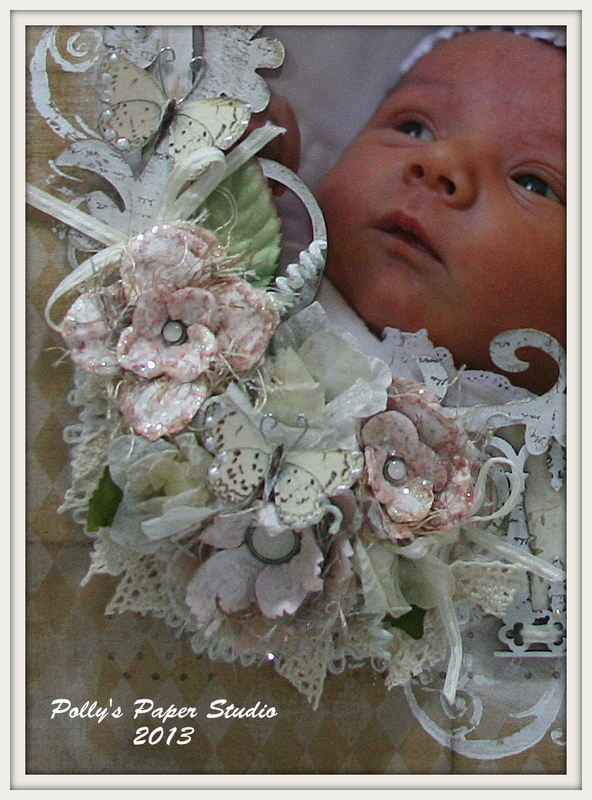 There’s also a few sweet little butterflies with Liquid Pearl accents. 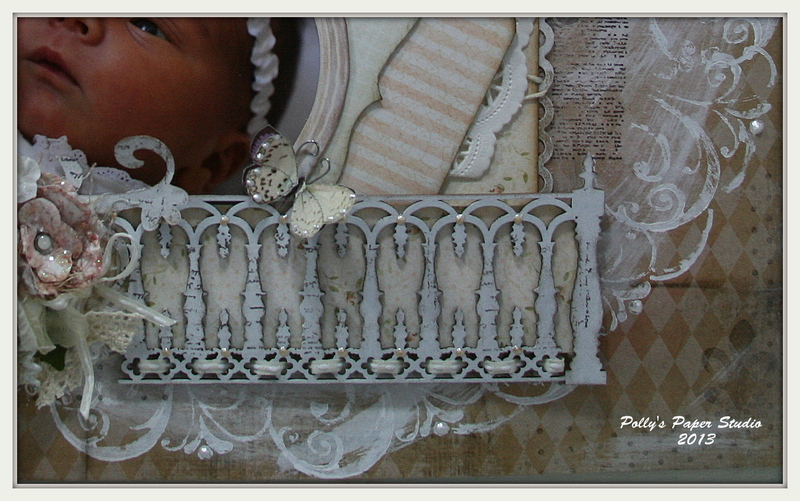 I painted and inked the chipboard fence and added more of the pearls. I also wound some pretty trim through. 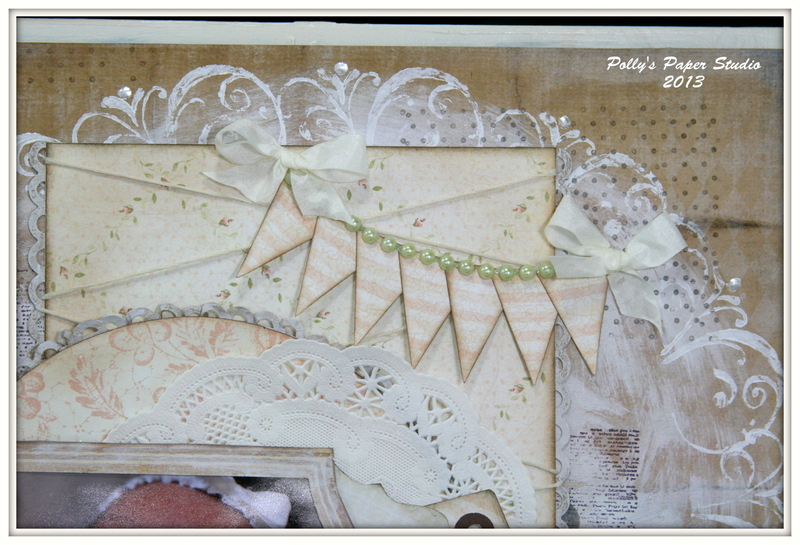 This banner is created simply with a coordinating paper pattern and pearls. I finished it off with Ivory Wrinkle Ribbon Bows. I’ll have to remember the ladder today so I can get these hung up : ) This layout will look fabulous on the pink walls right??? ?